A person was slashed at Queensboro Plaza in Long Island City, leading to delays along the 7 line. The severity of the victim's injuries wasn't immediately clear. A 37-year-old man was stabbed on a subway train in Queens during the middle of the day Sunday, police said. 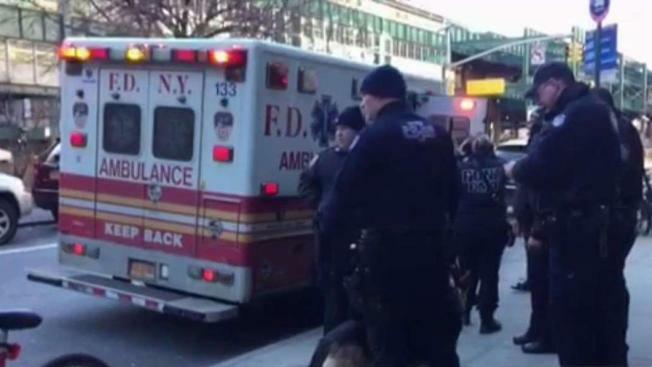 The stabbing was on a 7 train at Queensboro Plaza in Long Island City shortly before 2:30 p.m., according to the NYPD. The victim was stabbed in his right hand after a argument became physical, police said. He was taken to Mt. Sinai Hospital, where he received five stitches for the laceration. The attacker was described as about 40 years old and wearing a purple hoodie, black vest and blue jeans. Police released a photo of him Sunday night. The MTA temporarily stopped 7 train service at Queensboro Plaza due to NYPD activity, but service resumed at about 3:30 p.m.